Top 10 Cutest Sofas and Couch Sets for Toddlers and Kids Under 5! Little ones also like to have their own furniture! I found some cute and fun double-sided reading couches and sofa sets for kids that will be perfect for reading time! What I love about them is that multiple kids can read together and that is wonderful! 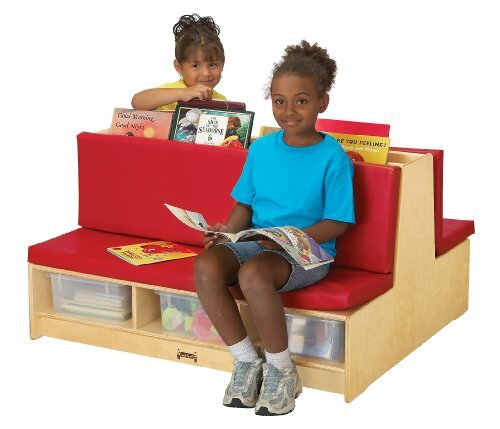 *How absolutely awesome is this bright red double-sided reading sofa for kids with storage on this picture? It comes with the clear tubs underneath as well and the center partition, so you can keep their favorite books handy! 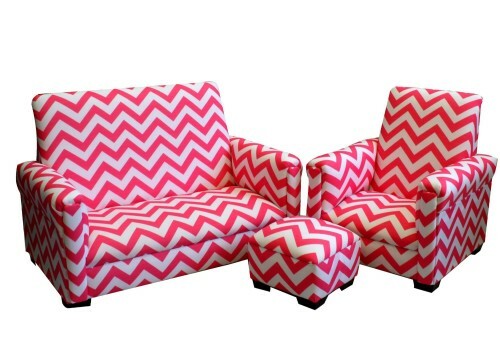 You will also find cute sofas for girls and awesome and unique couches and chairs for boys! These cute kids couches make fun gift ideas for any occasion and they will add to your child’s fun bedroom decor! 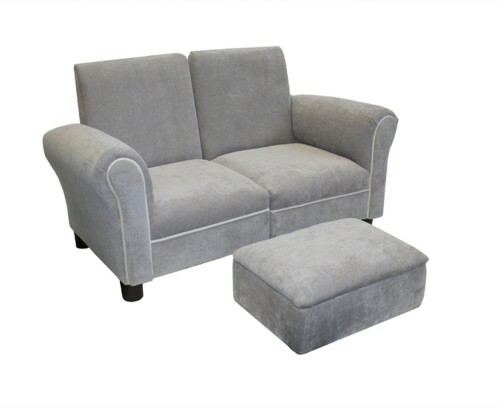 I hope you find the perfect sofa set or couch for your child here! Cute Double Side Blue Couch for Kids! 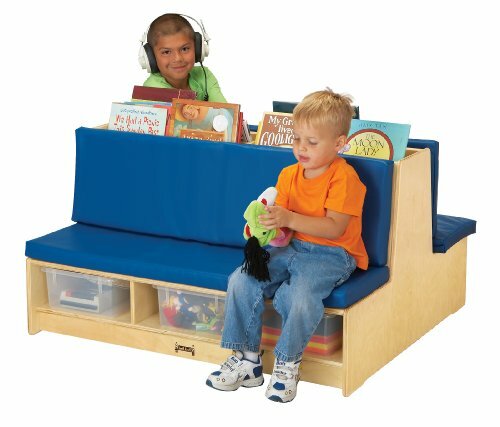 If you are looking for the best two-sided child reading couches around, then I think you are going to love this one! It fits children on both sides and as you can see it also has a center partition that makes choosing a fun book to read also fun! Perfect for brothers and sisters reading together! 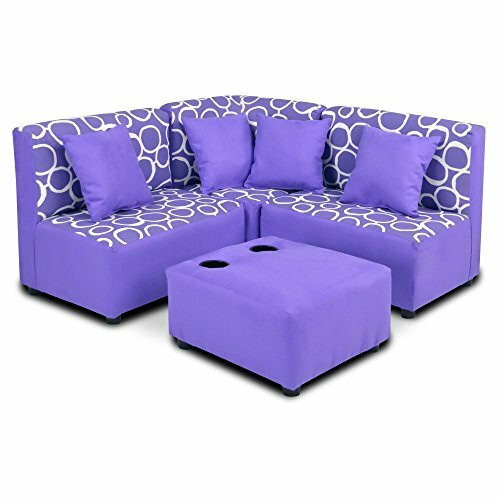 Fun Purple Kids Sectional Sofa Set! Check out this gorgeous purple sectional couch set with ottoman for children! It fits children from 2 to around 8 years old! Just imagine your little ones ‘chilling’ on this awesome sectional couch! Adorable Pink and Green Sofa Set for Toddler Girls! Pink and Green Adorable Sofa Set for Toddler Girls! What a cute, soft and comfortable pink and green sofa set for toddlers! Look at that happy toddler girl! She is having a blast with her new sofa set! Looks adorable in their bedroom! This is one of the cutest (and most affordable!) sofa sets for toddlers around! 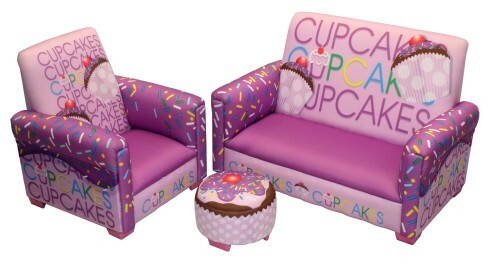 How cute and adorable is this cupcake design lavender sofa set for little girls? Look at that cupcake foot stool! Can you imagine your two year old girl ‘chilling’ on her adorable sofa? How’s that for a fun birthday gift? Cutest Sofa Sets for Small Kids! Hello candy pink chevron stripes! How stylish and cool is this toddler sofa set for sale? *It is also available in other fun colors too! Football 50 Yard Line Cute Sofa Set for Toddler Boys! And now it’s time for your toddler boy’s bedroom! How cute and fun is this football themed toddler sofa set for sale? He might be a future NFL star! 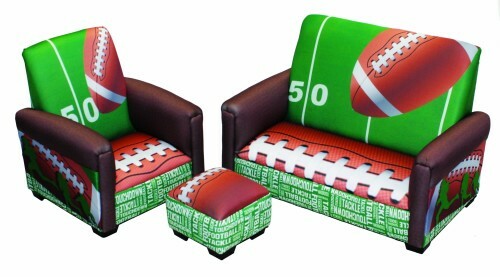 *Cool Sports Theme Chairs for Toddler Boys! It will blend with any color or bedroom design! The size is perfect for a 1 or 2 year old child! Preschool Kids Brown Faux Leather Sofa Set! It has a gorgeous chocolate brown color and it is in faux leather, juts like the grown-up couches! It is very sturdy and durable and it is perfect for a daycare center or a fun playroom! The children love taking a few minutes to rest on this beautiful sofa! Warner Brothers Tweety Bird Toddler Sofa, Chair and Ottoman Set! And I will now end my selections of cute sofas for kids today with the most adorable sofa sets for kids under 3 of them all!! 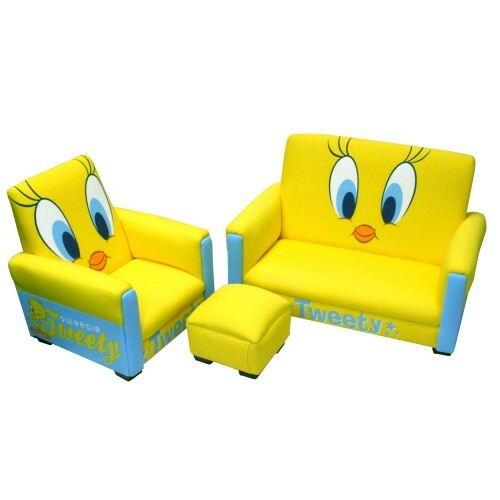 It is a gorgeous bright yellow Tweety bird toddler sofa set for sale! *I hope you enjoyed these cute sofas for kids and were able to choose the cutest one for your child’ bedroom! Here are other cute furniture ideas for kids! Best Children’s Tables and Chair Sets! Fun Scooby Doo Bedroom Ideas!